Redsok International is the commercial hub for a range of product and service categories across our expertise in health and the business of health. You can navigate to the individual websites of the following businesses according to your current and future interests and may be referred back to Redsok to complete registrations for events and courses or to purchase books and ebooks. Click through using the icons below. For men who want to avoid treatment for prostate cancer even if they already have it - putting the 'Active' into Active Surveillance. 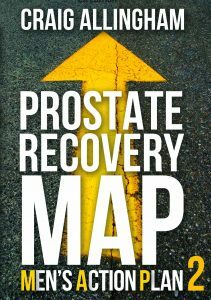 Practical research-based strategies to reduce the chance of prostate cancer or of having it progress to more a more aggressive stage requiring surgical, radiological, chemical or hormone treatment. Thus avoiding the side-effects of these interventions. Essential guide for any man who wants to reduce his risk factors through simple changes to input, output and throughput. Whether he is pre-diagnosis, pre-treatment or following treatment and looking to prevent the chance of recurrence. Published May 2019. Price $19.95 (AUD) plus shipping. Click on the image for more information. Treatment for prostate cancer may be life-extending, but it can bring unwanted side-effects from the surgery, radiotherapy, chemotherapy or hormone suppression. Side effects such as incontinence, loss of erectile function, depression, fatigue, mood swings and hot flashes. The book presents the program in detail including finding the right muscles, training them for strength and power, integrating into your life activities and a masterclass for the high achiever. Men's pelvic floor training is a muscle rehab process that can be learned and trained once you understand the precision and effort required. Price - only $14.95 (AUD). Click on the image for more information or click here to order. Strong Men's Business contains excellent posts and information on men's health to ensure men have the information and tools to Keep It. Healthy. 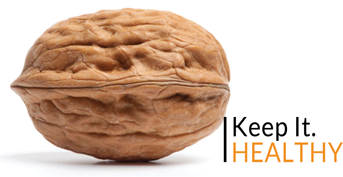 Providing business education, mentoring and coaching for owners and employees of allied health practices. This site includes workshop events & online education. Craig Allingham is the Director of the PBA and brings years of clinical and ownership expertise plus post-grad training in management and leadership. Another book by Craig this time on business. As the title suggests, Book More Clients is a hand book on customer conversations and service that will result in improved booking rates, appointments kept and client loyalty. The book contains situational examples including scripts for customer interaction from the initial enquiry through to repeat appointments and asking for payment. There are also sections for the professional service supplier (practitioner) to improve their capacity to meet customer expectations and needs and fulfil their duty of care all within an ethical framework. It will pay for itself within a week. Cost is only $29.95 (AUD) plus shipping & tax. Click on the image to purchase, but be quick, stocks are depleted and we await Craig updating the book in 2020. Mary O'Dwyer is a women's health physiotherapist who has now retired from teaching and practice, but has left us with a legacy of information and books that remain as outstanding resources for women looking to improve their pelvic floor function and health. A practical, information packed book for women, their partners and those involved in birthing. This essential guide if for women who want the best pelvic floor outcome during and following pregnancy and birthing. Includes strategies for pregnancy, during the birth and recovery afterwards for both vaginal and ceasarian deliveries. The perfect gift for the expectant mother-to-be. Only $24.95 (AUD) plus delivery. Click on the image to order. Another practical book from Mary O'Dwyer, on pelvic floor maintenance and training throughout life. This really is 'the confident girl's guide to a leak-free life' from the young to the older women. Mary has updated this book twice as it has sold out and it remains a comprehensive and current handbook for any woman looking to maintain the functions and pleasures associated with a strong and competent pelvic floor. Only $24.95 (AUD) plus shipping. Click on the image to order. and in the UK they are distributed by IncoStress. A/Prof Craig Allingham is a trained professional speaker and popular addition to conferences, team development and leadership events. 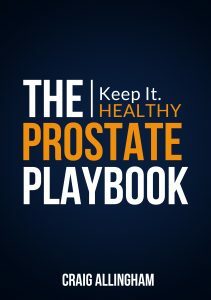 Covering topics such as High Performance Health, Team Success, Men's Health, Prostate Care: Keep It. Healthy. and Customer Success Craig includes stories and insights from his time as a high performance sports physio with Australian Olympic Teams and other National positions.